In a few short days, my puppy with be 1 year old. She is a chocolate lab, full of energy and she will chew everything in site. We have lost tree branches, fencing, carpet and so many toys to her chewing we can’t keep up. We knew this chewing trait when we got her, but we didn’t expect her to be such an extreme chewer. Enter the Absolute Best Dog Toys for Extreme Chewers and Puppies. Go Dog Toys. They are magical. 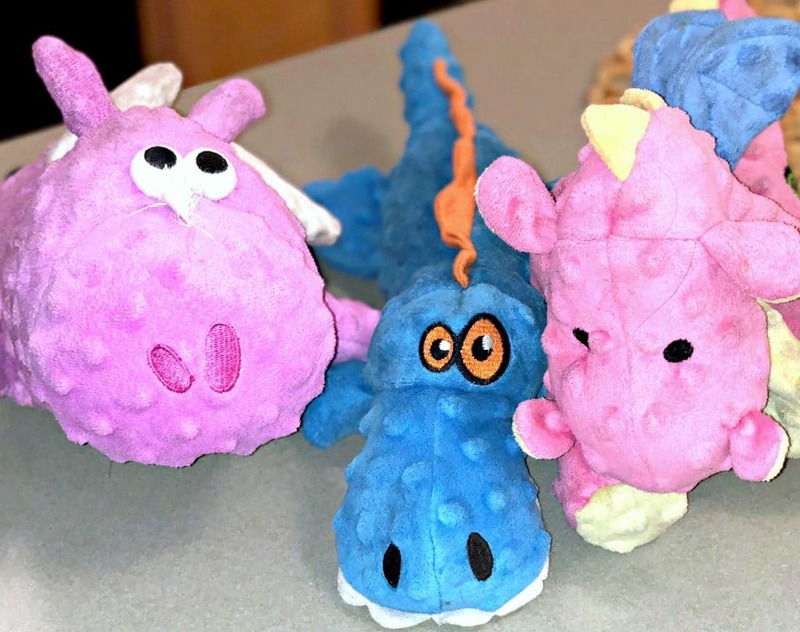 We were actually sent one in a Pupbox a few months ago and after a month of this plush little squeaker toy still being intact, we decided to hop over to Amazon and purchase a few more to see if we just go lucky or if they really are that good. Well I can honestly say that we have 4 of these and they have all held up very well! They are made with some sort of reinforced mesh material that acts like a chew guard and pretty strong seam stitches. 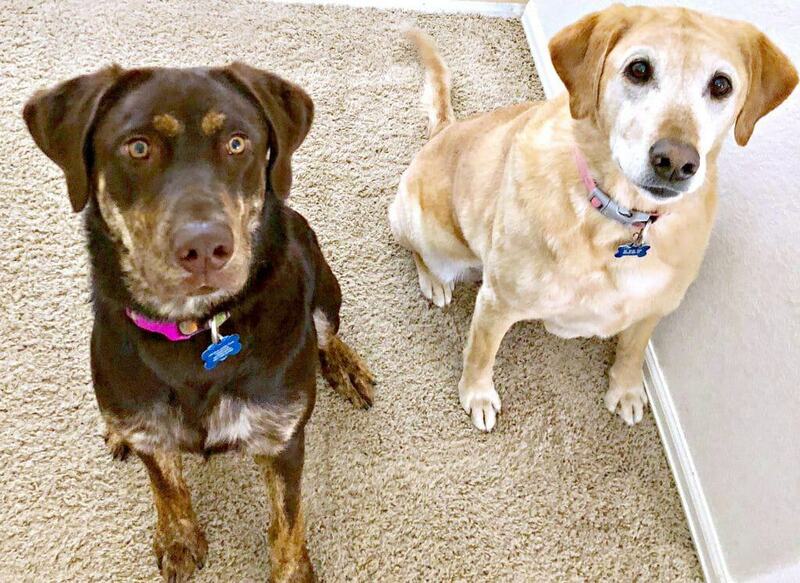 Believe me, these two pups have done all they can to destroy them and they have not busted. We tried EVERYTHING! I even asked the almighty Facebook for ideas and we tried them all. Nothing was a match for this little chocolate disaster. The black Kong that is supposed to be intended for extreme chewers? Yeah, that lasted 24 hours before she had it in pieces. An antler…3 hours, shoot, I am 99% sure that a rock would be no match for these jaws, but for some reason they have NOT destroyed the Go Dog Toys. I am sure that these are the absolute best dog toys for extreme chewers and puppies. I only have a small sample size to test this hypothesis on, but the Amazon reviews were pretty decent too and for under $15.00 it is worth a shot since my carpet now needs to be replaced and that could have been remedied by a $15.00 (or less in many cases) by a durable dog toy. Um…Where Do I Get These? AMAZON, or I am sure that they have their own store and maybe they are sold in pet stores but any pet owner knows that online is the way to go for dog toys. Either way, you can click here to shop my Amazon page and purchase the ones we have or find more. Honestly, we are always keeping our eyes on these toys, because they go on sale and last forever. The three toys we have in the photo below were purchased in February and I took these photos on Sunday (April 16th if you need the date). They are filthy and have been drug outside, left in the snow and chewed on for hours, and still they are in great shape. We did have one minor seam issue on the pig, but I was able to fix that and its still holding strong. Go to Amazon now and buy them. 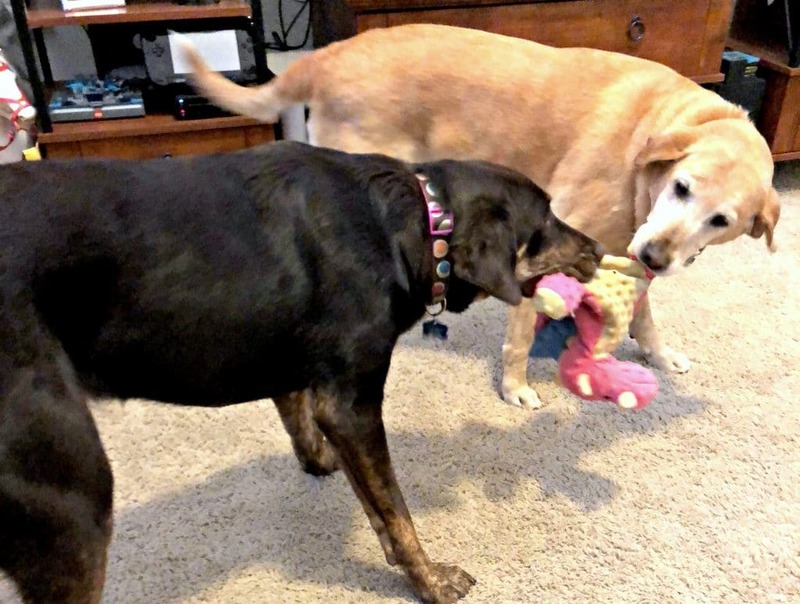 Have you tried these dog toys?